Layer the ingredients for homemade cocoa in a jar, add a ribbon and a tag, and you have a simple but stylish gift. This mix will fill a 1-quart jar (12 servings), but if your containers are different sizes, just keep the ratio of ingredients constant. On the back of the tag, write: "Mix contents in a large bowl. 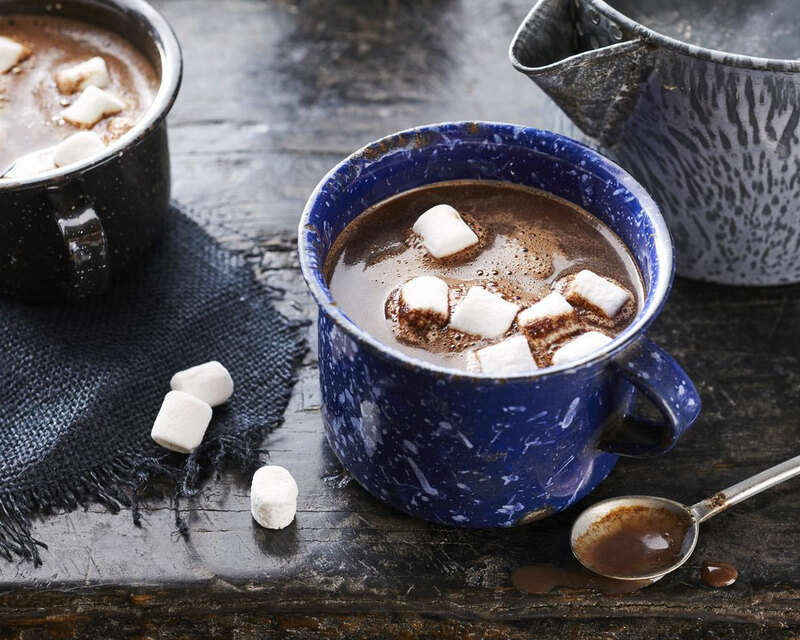 For each serving, place 1/3 cup cocoa mix in a mug and stir in 1 cup boiling water. Store remaining mix in airtight container." Layer sugar, cocoa powder, powdered milk, salt, chocolate chips, and marshmallows.